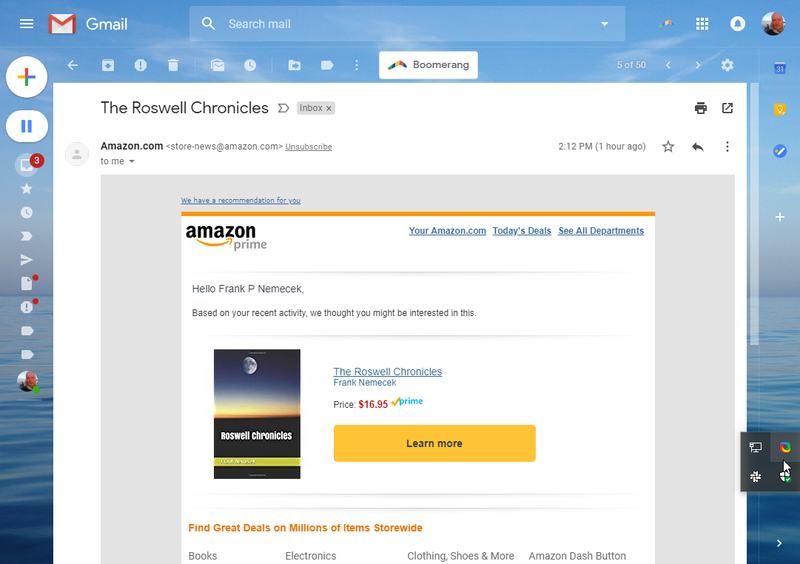 From the category of things that make me laugh, I got an email today from Amazon.com that recommended a certain book. The simple fact that they sent me such an email, in and of itself, is not big deal. It's really what Amazon recommended that I should read next that made me laugh. I mean, I have absolutely no idea why the folks at Amazon would think that I'd be interested in a science fiction novel called The Roswell Chronicles by some guy named Frank Nemecek. What's interesting is how much it must cost them for server memory to keep track of all the authors and sending them emails about their own works. Guys like Patterson & John Grisham would require more floor space and cooling equipment.